Whimsy by Shellye: More Than Cupcakes? 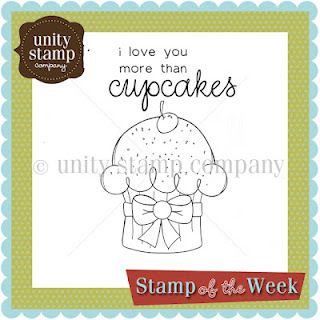 It's Stamp of the Week time with Unity Stamp Company! manila tag and distressed/stamped images...doesn't it POP?!? different scraps of paper; trim out and assemble! Unique stamps mailed to you each and every week for only $5.79/mo. As always, I really and truly appreciate you stopping by! This is soooo cute. I love it! 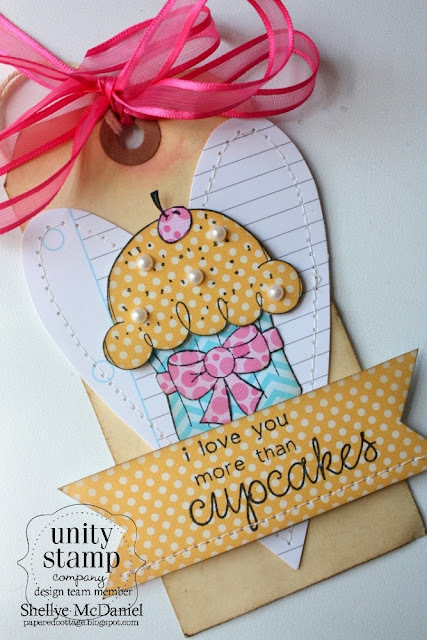 So gorgeous Shellye, love what you have done with this stamp. Beautiful! I really love that saying...so cute.